I was honored to be invited by Paul Clark and Steve Carlson to participate in this year's Muriel Awards. A sort of alternative to the mostly boring Critics Circle Awards (as well as the certainly not boring Skandies), the Muriels includes a number of cinephiles voting in categories of 2012 film that range from the simple (acting, writing, editing) to the esoteric (Best film of 1987, Body of Work, Scene). I'll be writing about two of the winners, so look for that soon, and follow the awards here! 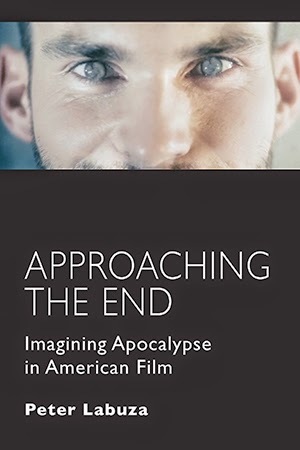 If you check out the latest issue of Film Matters, I review the very strange and wonderful book on John Carpenter's They Live by Jonathan Lethem. It's good! I also have a couple of reviews out there: a longer piece on Like Someone in Love and a new piece on Night Across the Street. Read those at their respective locations here and here. 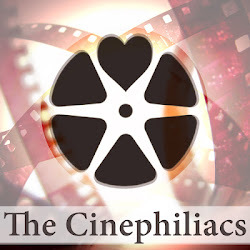 If you haven't been following The Cinephiliacs, check out episodes with Keith Phipps, Kevin B. Lee, and C. Mason Wells. I have a long piece on Soderbergh's Side Effects and his relationship with Scott Z. Burns that I really hope to have published soon, but it currently sits in editing limbo. You can follow my haikus on Letterboxd, which is now open to the public. Also of note: Cairo Station (Chahine, Egypt, 1959), Greetings (De Palma, USA, 1968), The Tarnished Angels (Sirk, USA, 1957), In the Shadows (Arlsan, Germany, 2010), Slacker (Linklater, USA, 1991), and The Moderns (Rudolph, USA, 1988).